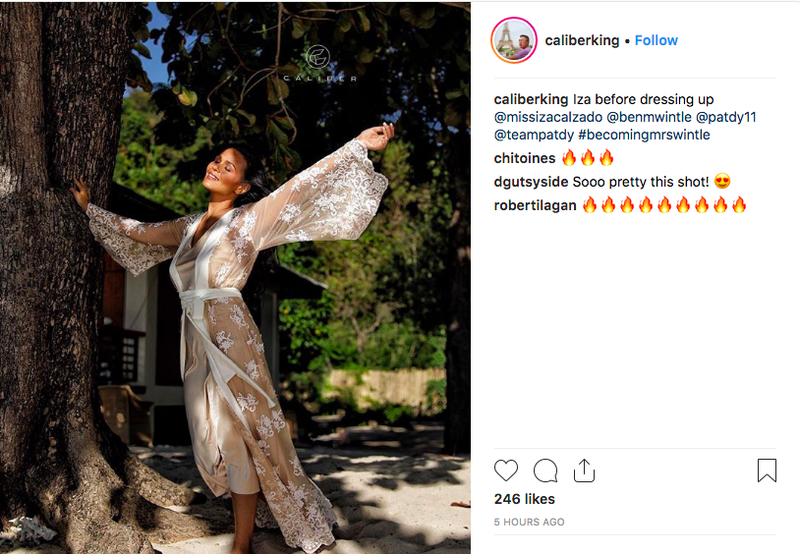 Iza Calzado married her long-time boyfriend Ben Wintle on Wednesday in a beach ceremony surrounded by family and friends in Coron, Palawan. 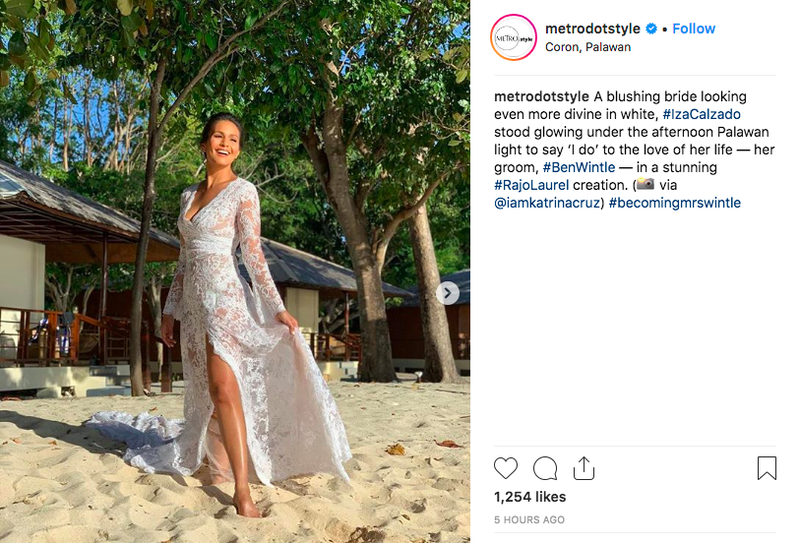 The actress, wore a Rajo Laurel gown, carrying a bouquet with a locket containing photos of her late parents — TV director and choreographer Lito Calzado and Marian Antonia Ussher. 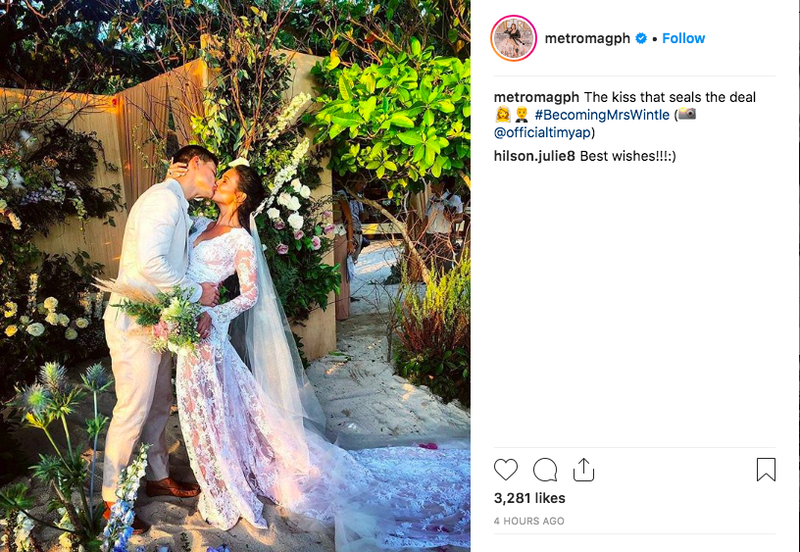 Wintle, a British entrepreneur wore a matching white suit as he waited for his bride at the altar.